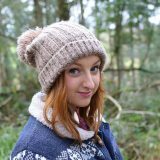 Laura McLoughlin is a Digital PR with past experience as a website editor and writer. Away from the keyboard, you can find her binging nature documentaries and dreaming up travel plans. Laura works with Glaze Digital in Northern Ireland. Say hi @lauramclo.